The Kamen Company team is made up of people who have been thoroughly trained in using and demonstrating the Saladmaster cookware. Our team attends weekly training events and has access to Saladmaster’s online training to keep them up-to-date on new initiatives by Saladmaster and to learn new recipes. Incentives with amazing prizes and trips are offered regularly to inspire the team members to their best work. Learn more on Saladmaster’s Corporate website, and then contact us to find out more about a career in Saladmaster! Our Business Manager, Herb, works to keep the books balanced, the business operating smoothly and efficiently, and the stock room fully supplied. 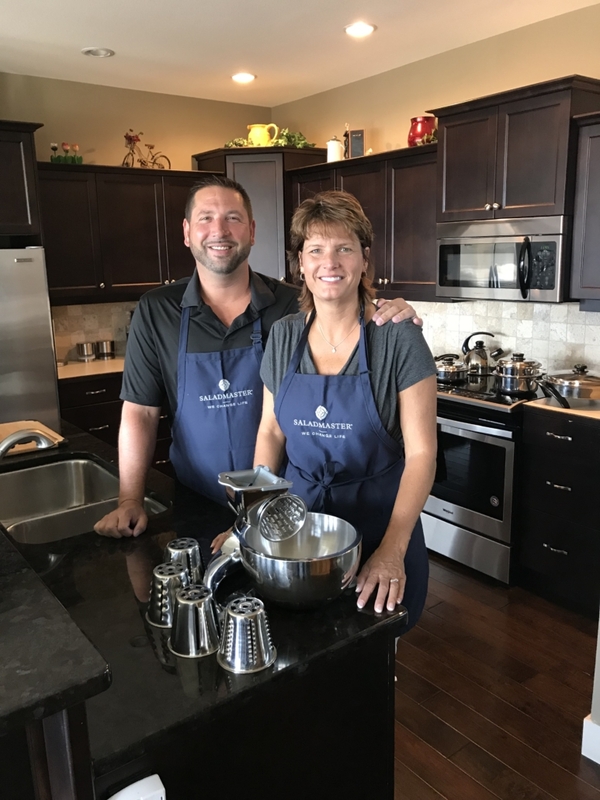 Lorraine is our “chief cook” and has over 20 years of experience in presenting the Saladmaster cookware to families all over the Fraser Valley is now working in the Okanagan as well with her husband, Bryce. Kamen Company is looking for qualified sales people to join our business. We offer a unique and fun way to make an extra income or to make this a full time career. We offer paid training both in the presentation of the Saladmaster story and benefits and in the cooking of the meal. We invite you to contact our Kamen Company office for more information on how to join our Saladmaster team. Are you a Team player who likes to have fun?! Are you energetic, positive and self-motivated? Kamen Company Saladmaster in the Okanagan is looking for determined individuals who want to join our dynamic team. This is the opportunity you’ve been looking for. No Experience Necessary! All training and coaching provided to help you achieve the success you desire! Managements commitment is to see our team members succeed! !